Robert Burns set out on his tour of the Scottish Borders in the spring of 1787 having just published the second edition of his works. This was the first of three tours which Burns was to embark upon travelling subsequently to the south and west and then perhaps most famously to the Highlands. Burns no doubt had a personal interest is seeing areas of Scotland previously unknown to him although in many ways it could be said he went more to meet and to socialize than as a tourist looking to visit sites of historical interest or natural beauty. He kept a detailed diary but fails to mention, as he must have done, seeing Hadrian's Wall or Melrose Abbey. Also he could so easily have visited Holy Island or the Yarrow Valley but chose not to do so. As well as travel his publishers were anxious to raise publicity and awareness of his latest publication and he took with him three dozen copies of his publication complete with the well known Buego frontispiece portrait. There were also on occasion subscriptions to collect. His companion on the first part of his Borders tour was Mr. Robert Ainslie of Berrywell, Duns then an apprentice lawyer in Edinburgh with the firm of Samuel Mitchelson. Ainslie was 21 and Burns seven years older. Both shared a common interest in a love of song, good living and it has to be said an eye for the ladies and they soon became boon companions. Prior to setting out on his journey Burns purchased a new suit of cloths and also bought a mare for which we paid "over £4 sterling". Burns named the mare Jenny Geddes after the dissident lady who in 1637 had set in motion the events leading up to the signing of the National Covenant by aiming a creepy stool at the head of the Bishop of Edinburgh trying, on the orders of Charles 1, to introduce the book of Common Prayer into Scottish Churches. 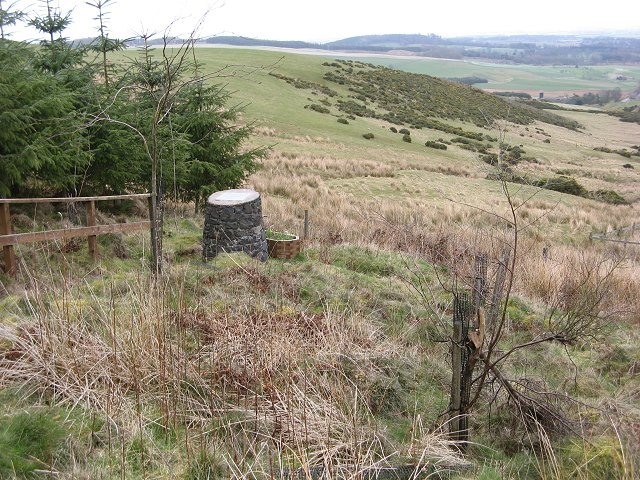 "A yald poutherie Girran and a' that and has a stomach like Willie Stalker's meere that wad hae digested tumbler-wheels"
The Ainslies were a well known and respected family in Duns, Robert Ainslie senior being a land-steward of Lord Douglas’s Berwickshire Estates at Berywell near Duns. 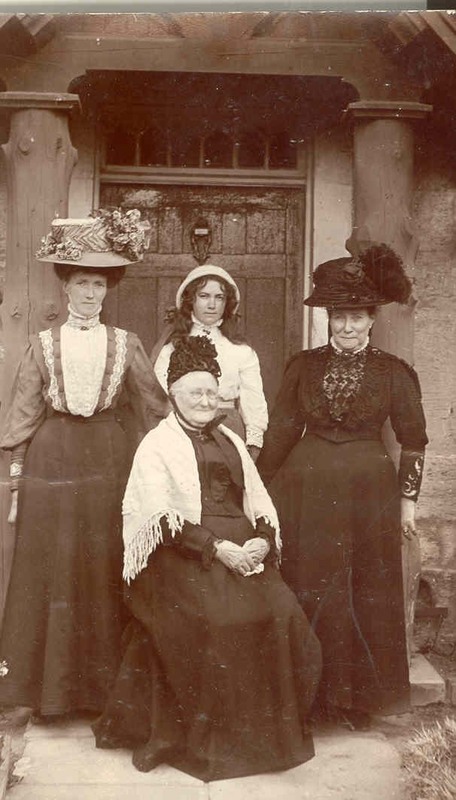 Burns seems to have got on well with the whole family, describing Robert Ainslie senior as an "uncommon character" and his wife as "an excellent, sensible, cheerful amiable old woman" In later life in the law young Robert did acquire a somewhat serious and formidable reputation. 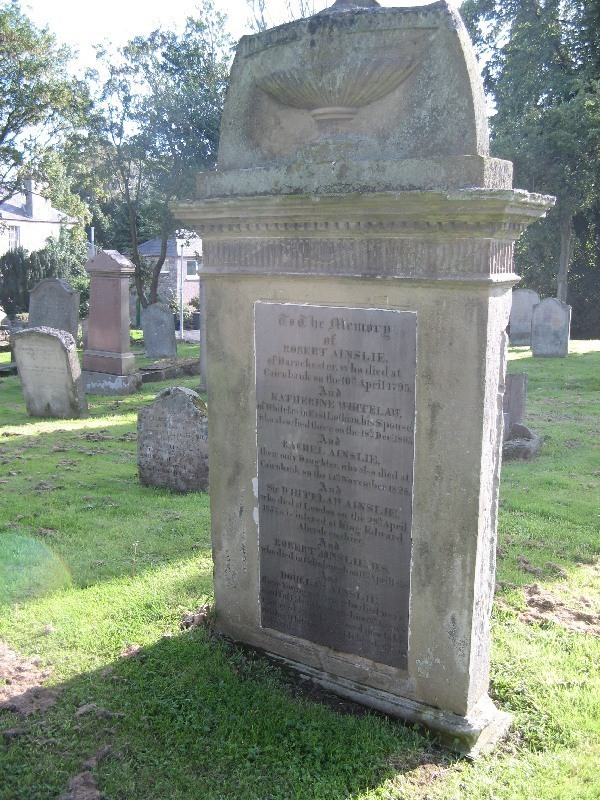 The family is buried in Duns Churchyard where a fine monument survives. Burns and Ainslie set out from Edinburgh on the 5th. of May travelling to Berrywell via Haddington. Robert Ainslie in later life After crossing the Lammermuirs which Burns described as "miserably dreary but at times picturesque" Burns first caught site of the fertile lands of the Merse stretching out before him from a spot at Langtonedge above Duns on the Longformacus Road where the Duns Burns Club has subsequently erected a memorial. It has been suggested, although there is probably no hard and fast evidence, that it was also during a service at Duns Kirk that Burns garnered the idea for his famous poem "To a louse" when he saw the eponymous bug crawl from the hair of a well coiffured lady sitting a few pews in front. It has also been suggested that while at Duns he may have composed the beautifully melodious song "A Rosebud by the early Morn" while he walked at Briery Baulk near Duns. This poem is dedicated to Miss Jenny Carmichael the twelve year old daughter of the rector of Edinburgh High School with whom Burns later stayed while in Edinburgh. Again though this claim has not been substantiated. One poem however although referring to Duns Robin Shure in Hairst ('Robin reaped the Harvest') was probably written later but the Robin referred to was not the poet but Robert Ainslie referring to an incident when Robert Ainslie would appear to have rather disappointed a young lady in his promises. The following day Burns and Ainslie set off to Coldstream where Burns crossed into England for the first time in his life. Rather though than compiling some appropriate stanza Burns threw himself on the ground and recited some verses from " A Cottar's Saturday Night". They returned to Duns the same day and on the Tuesday set out for Jedburgh. Approximately ten days later, after a Borderswide pilgrimage, the duo returned to Duns. When Burns arrived back at Berrywell he found awaiting him a package from a certain Mr. Symon Gray, a London businessman and public benefactor who had retired to Duns. Symon Gray had some pretensions as a poet and sought Burns' opinion of his works.
" Symon Gray you are dull today "
" Dullness, wit redoubted sway, has seized the wits of Symon Gray"
Symon Gray was nothing if not persistent and a third package duly arrived. Its worth for want of Time. And with it wipe my b**." It is not recorded that Burns heard any more from Symon Gray. Ainslie was now due to return to Edinburgh and two days later he and Burns set off via Eyemouth to Dunbar where Burns took his leave of Ainslie and returned to Duns accompanied by a Mr. Charles Lorimer an Excise man from Dunbar with whom Burns does not seem to have got along. The following morning Burns made his final departure from the Borders setting off again on his travels crossing over into England and visiting Alnwick and Newcastle before travelling across country to Carlisle and then back into Scotland. His companion on this stage of the journey was a Mr. Thomas Hood. Burns had met Thomas Hood whom he described as "an honest, worthy facetious farmer in the neighbourhood" but a week previously. While Thomas Hood has been styled as 'of Wooler' at this point he was farming Mount Pleasant on the Kimmerghame Estate about three miles south of Duns.
" I am taken extremely ill with strong feverish symptoms and take a servant of Mr. Hood's to watch me all night - embittering remorse scares my fancy at the gloomy foreboding of death - I am determined to live for the future in such a manner as not to be scared of the approach of death - I am sure I could meet him with indifference but for "something beyond the grave". 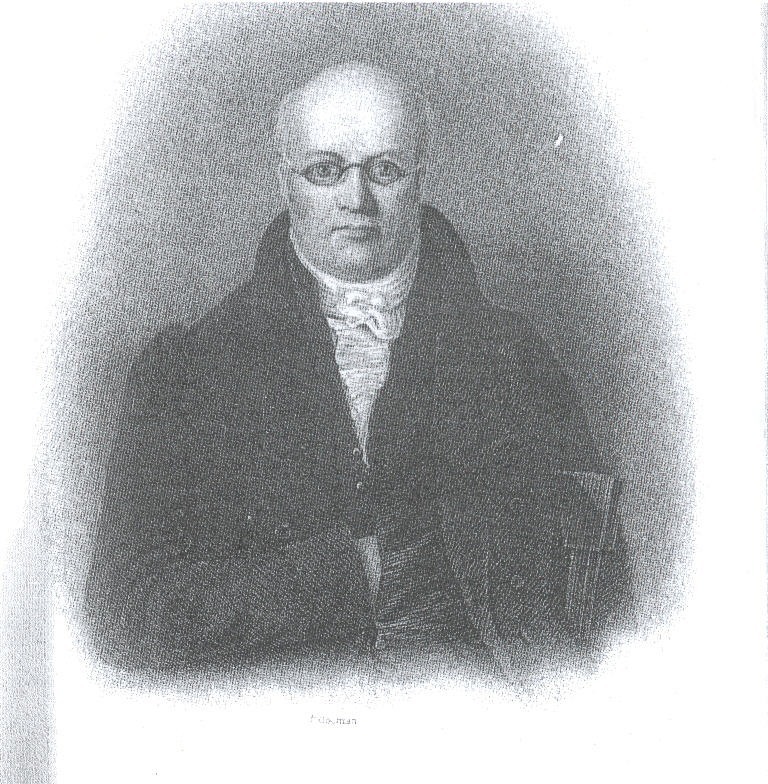 Whatever the nature of Burns' affliction he was able enough the following day to attend a roup and the day after visited Archibald Swinton of Kimmerghame, a subscriber to the poet's most recent work, and remarked on his fine collection of Persian and oriental paintings and prints by artist John Boydell. The following day Sunday 27th. 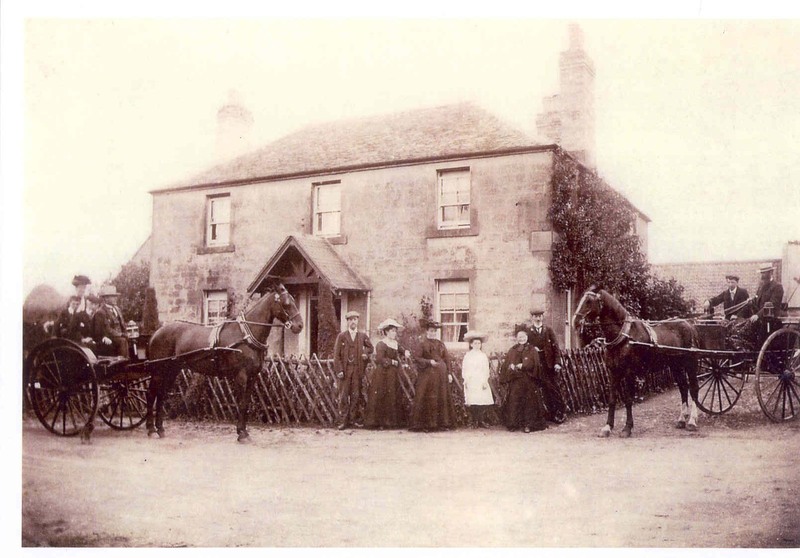 May Burns and Hood accompanied by Gilbert Ker of Stodrig near Kelso finally left for England. During his stay in Duns Burns had met with Andrew Meikle a millwright at Houston Mill, near Dunbar and inventor of the Threshing Mill which he was to patent the following year. With his farming background Burns couldn't but compare the land and farming practice noting "the climate and soil of Berwickshire even Roxburgh superior to Ayrshire"- "husband and sheep farming their great improvement" - "magnificence of farmers and farm houses" He did however complain of the condition of the roads. The above was the subject a talk to the Society in October 2009 by Hawick historian and raconteur Mr. Ian Landells. Mr. Landells noted ruefully that during his tour Burns seems to have visited every major town in the Borders with the exception of Hawick an oversight, he suggested, on Burns' part which "he rued to his dying day"
There is a very active Burns Club in Duns. A very highly regarded and always well supported supper is held every January, in recent years in the Swan Hotel.